CIS provides cyber liability coverage, and this eRiskHub® resource, as an added benefit for members that have Liability Coverage. Standard coverage has a $5,000 deductible (unless your entity has a higher deductible, aggregate deductible, or participates in a retro program) and provides a maximum limit of $50,000. Members may purchase limits in excess of $50,000, up to $1 million. 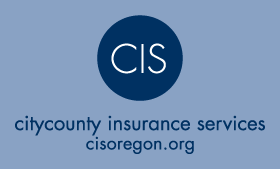 In the event of a data breach, please submit all claims to claimspl@cisoregon.org. Note: You must have a valid Access Code in order to complete your registration. If you do not have an Access Code, please contact CIS Administration at admin@cisoregon.org. If you have an Access Code, but are experiencing difficulties registering or logging in, please contact registrar@eriskhub.com. This site is operated by NetDiligence®. Links found within this site may open a new browser window and take you outside the eRiskHub to another website, the contents of which are maintained by third parties over whom NetDiligence, National League of Cities and Citycounty Insurance Services have no control. We provide links to these external sites for your convenience and awareness. We accept no responsibility for the content of linked sites. Upon request of the content source, we will remove links.